Clinicians can focus on several key ways to reduce sepsis mortality, including patient monitoring and early detection, according to a video interview released by the Physician-Patient Alliance for Health & Safety. 1. Be committed to early detection and treatment of sepsis. Almost 270,000 Americans die from sepsis annually, and one in three patients who die in hospitals have sepsis, according to the CDC. Providers can help lower this number by making an active commitment to detecting and treating sepsis, Dr. Rothfield said. "You can save lives if you're committed to early detection and treatment. You have the ability to decrease the incidence of sepsis mortality. You just have to be committed to trying. I would like you to commit to early detection and treatment of sepsis, because you may not get a second chance to save your patient's life." 2. Monitor for sepsis. Clinical studies have found mortality is significantly reduced if septic patients are identified at early stages of the disease process, Dr. Rothfield said. Monitoring a patient's heart rate and respiratory rate lets clinicians find changes over time while supporting hospital protocols for early sepsis detection. 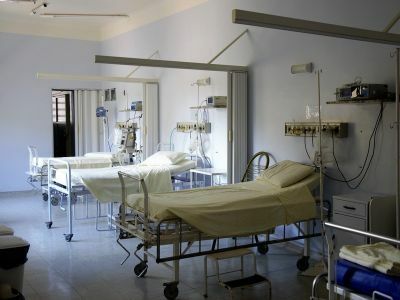 "Although nursing assessments taken every few hours may detect sepsis, patient monitoring can alert you at the earliest possible moment when sepsis is developing," he said. 3. Treat sepsis early. "Clinicians should be open to the idea that treatment needs to start immediately, without necessarily knowing the source of the infection," Dr. Rothfield said. Several key elements in treating severe sepsis and septic shock are early antibiotics, early recognition and intervention, source control and hemodynamic support. "Sepsis should be treated as a medical emergency [and] should be treated as quickly and efficiently as possible as soon as it has been identified," Dr. Rothfield said. 4. Work collaboratively. Providers can focus on working with and listening to their colleagues to improve patient safety and care. "If you are a leader at a hospital, like I am, or a leader of a unit in a hospital, I ask you to lead your team in developing and maintaining a safety culture," Dr. Rothfield said. "Getting people to work together collaboratively allows more patients to be helped." 5. Be open to using new technology. Using medical devices and information technologies that best suit a facility's clinical needs and culture can help improve care, Dr. Rothfield said. For example, some technologies targeted at sepsis provide continuous monitoring of heart rate, respiratory rate and motion to help clinicians manage the patient. To read the video transcript, click here.